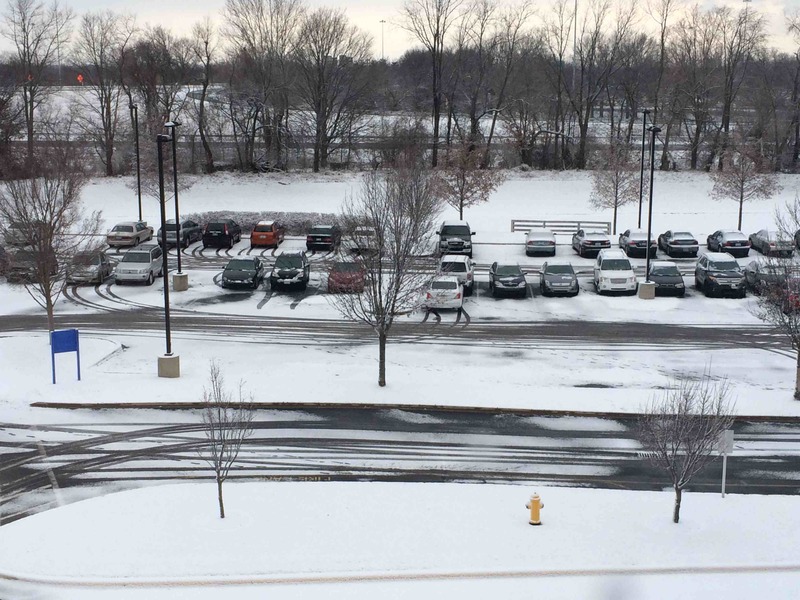 Snow Hits Louisville Area - Why are schools open? Amazing! Jefferson County Schools open today when ice and snow cover streets and accidents are everywhere! Yet they closed schools earlier in the month because of the mere threat of bad weather. I would bet that the powers that control the school closings took heat for the pre-mature closing and decided to wait this one out. Looking back now, poor choice don’t you think? Understandably it’s easy to say that now after the storm hit. To the school systems credit, the weather forecasters have a habit of calling for the sky to fall even when nothing happens. So is this a case of finding as reliable source for weather forecasting accurately? Admittedly, some of these storms are difficult to predict. The sweeping storms coming across the U.S. have a tendency to change tracks and past models don’t hold up. Is it me, or is this winter worse than past years. I can remember years when we had several hit and miss storms but this year seams worse for some reason. Could we see a repeat of the Blizzard of 1994? For more information about Louisville Real Estate or to work with the hardest working Real Estate Team in Louisville Kentucky “The Sokoler Medley Team” (AKA The Real Estate Bulldogs) at RE/MAX Properties East head to https://www.weselllouisville.com or call (502) 376-5483. With a decision this important, it’s nice to have a team of BULLDOGS on your side!